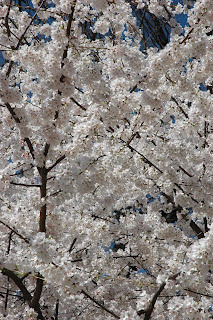 To celebrate the National Cherry Blossom Festival and to give you an added incentive to join Casey Trees online, those individuals who join our Facebook Group AND Fan Page by the end of the festival on Sunday, April 12, 2009 will be entered into a contest to win a Japanese Cherry tree, the same tree thousands flock to the Tidal Basin to see each spring. No longer will you have to fight the crowds to see a cherry tree – you’ll just have to look out your own window. We encourage everyone to “friend” us but to support Casey Trees’ mission of restoring, enhancing and protecting the tree canopy of the Nation’s Capital, and for practical delivery purposes, the winner must live and plant the tree in the District of Columbia. Don't forget Casey Trees is also all a Twitter.